Oppure ottienilo con 8800 Kobo Super Point! 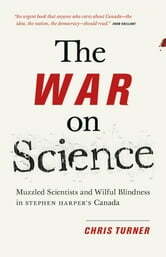 A passionate and meticulously researched argument against the Harper government's war on science. In this arresting and passionately argued indictment, award-winning journalist Chris Turner argues that Stephen Harper's attack on basic science, science communication, environmental regulations, and the environmental NGO community is the most vicious assault ever waged by a Canadian government on the fundamental principles of the Enlightenment. From the closure of Arctic research stations as oil drilling begins in the High Arctic to slashed research budgets in agriculture, dramatic changes to the nation's fisheries policy, and the muzzling of government scientists, Harper's government has effectively dismantled Canada's long-standing scientific tradition. Drawing on interviews with scientists whose work has been halted by budget cuts and their colleagues in an NGO community increasingly treated as an enemy of the state, The War on Science paints a vivid and damning portrait of a government that has abandoned environmental stewardship and severed a national commitment to the objective truth of basic science as old as Canada itself. 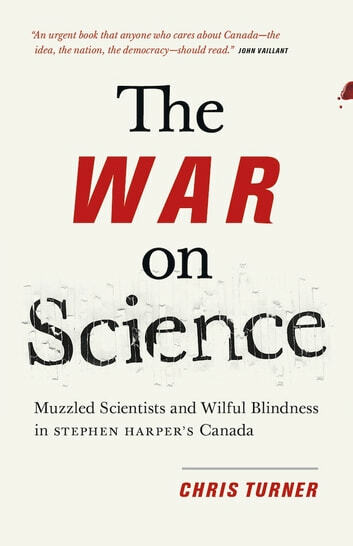 A well documented expose of the Harper government abuse and destruction of science in Canada.